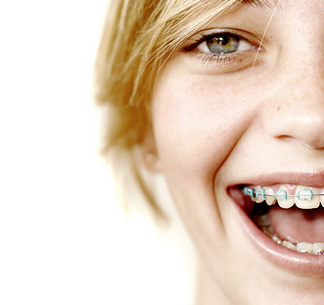 Many patients ask our staff why should a specialist in orthodontics "do their braces"? A specialist in orthodontics has not only received a four-year dental degree, but also has completed two to three years continuous full-time advanced study in an orthodontic program accredited by the American Dental Association. Our primary concern is to provide the best treatment available for our patients. Dr. Engel is always researching better ways to prevent problems, improve diagnosis, and update treatment procedures. Dr. Engel has put forth great effort and expense to protect and maintain your health. We exceed the mandatory sterilization requirements set by OSHA and the Centers for Disease Control. Our staff attends continuing education seminars yearly to attain cutting-edge skills and the latest in technology. All therapists are certified in dental radiology as well as CPR. Treatment time typically ranges from one to two years, depending on the growth of the patient's mouth and face and the severity of the problem. Patients grow at different rates and will respond variously to orthodontic treatment, so the time to case completion may differ from the original estimate. The patient's diligent use of any prescribed rubber bands or headgear is an important factor in achieving the most efficient treatment. Interceptive, or early treatment procedures, usually take from as few as six months to one year.